Always looking for exceptional people to do exceptional things! 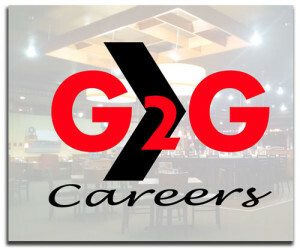 G2G Management Group is one of the largest Denny’s Franchisees in America with locations in Southern California, Nevada and Colorado. We are looking for great people to do great things! A career at Denny’s is open to everyone with a passion for great food, great service and great times. Whether you want to be a cook, a server or work behind the scenes, America’s diner is always open to take your application. Our management in training program is great for someone looking for experience in the management arena. This program allows individuals with strong leadership qualities, good communication and people skills, and passion for the business, a chance to excel at an exciting career. As the largest family-style restaurant company in North America, Denny’s has always taken its social responsibility seriously, understanding that it is a privilege to be able to give back to those we serve. By becoming involved in neighborhood activities our customers care about, we give something back to our loyal customers and create positive, long-term relationships with our community members. When a local restaurant crew puts genuine effort into creating a bond of trust with its community members, we take ourselves beyond simply being workers, to becoming leaders in the community. It’s a great time to join our organization as we are looking for our future leaders! G2G is one of the largest Denny’s franchisees in America, having over 40 locations in the California, Nevada and Colorado areas. Denny’s is America’s diner. This is where Americans have come for over 60 years to sit back, relax, and enjoy delicious, hearty meals 24/7. From breakfast anytime to delicious lunches and dinners. If you’re in the mood for it, chances are we’re serving it! Denny’s is always open, always welcoming and always serving up hearty diner food along with a mug of fresh hot coffee. Come on in and see why we’re America’s favorite diner! is what we are striving to do! There is no greater way for a business to say thank you to our courageous servicemen and women than by providing them with a job. The mission of Helping Heroes Work is to raise awareness to the important responsibility we all share in helping our returning veterans begin this next critical phase in their lives. We are committed as an organization to do what we can to hire veterans.